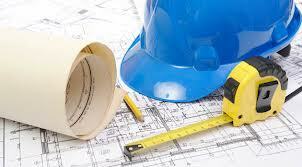 We have been working closely with the architects and planning department to develop the plans for the school. Originally, it was thought that the former Winbury Preparatory School’s Reception classroom and enclosed outdoor area would be renovated for use by Braywick Court School from this September. We are delighted to announce that we intend to open with more than twice the internal area and with a much larger external space than previously anticipated. Our Reception pupils will enjoy a spacious, flexible, open plan learning environment with state-of-the-art facilities from day one. Lots of outdoor learning will take place in the large adjoining enclosed external area and our plans also include a small school hall which will be used for assemblies, indoor sports and activities, serving lunches and the many after-school clubs we will run. 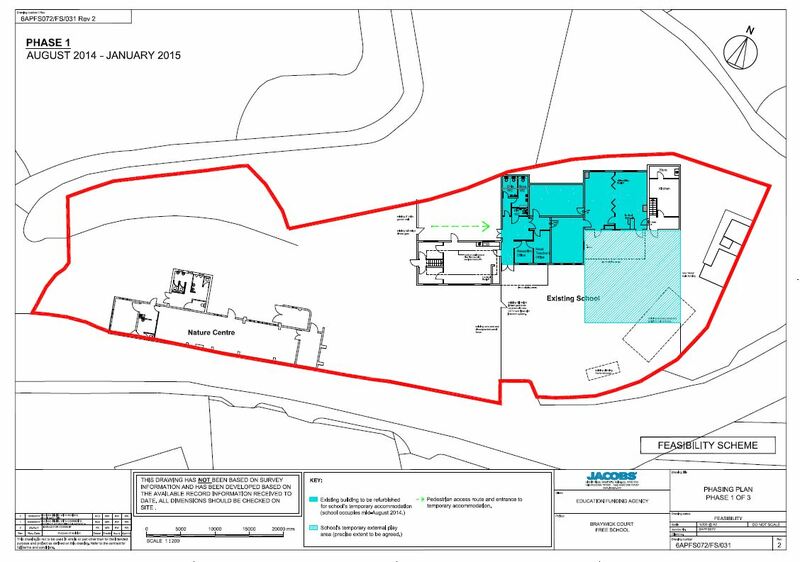 This Phase One area, positioned to the eastern edge of the site and highlighted in blue, is scheduled to be refurbished between mid-July and mid-August. The children will remain in this area for the duration of their Reception year. Construction works for Phase Two, which will complete the school and incorporate Braywick Nature Centre, are planned to commence after Christmas. The full site plans will be available to view at a public consultation which will be held at Braywick Nature Centre on Tuesday 8th July between 2.00pm and 7.30pm. We will also publish the plans on our website shortly. Parents of our Reception pupils will be invited to view Phase One as soon as the works have been completed, before we officially open our doors on 2nd September. Due to the popularity of our free Storytime & Rhymes sessions which started earlier this month, we are now holding two sessions at Braywick Nature Reserve every Friday, starting at 9.30am and 10.30am. The sessions are suitable for babies to pre-schoolers and include free squash and biscuits. Each session is followed by Stay and Play at the café, which is open for hot and cold drinks and snacks. Why not come along this Friday for stories, songs and games? Everyone is welcome! Whilst the majority of the 28 Reception places have been accepted, a small number of spaces are currently still available. Parents and carers interested in applying for one of the last remaining places at Braywick Court School are invited to contact the RBWM admissions team on 01628 683870 or by email at school.admissions@rbwm.gov.uk. Places will be allocated in accordance with the school’s Admissions Policy. Those interested in finding out more about Braywick Court School are invited to contact Gemma Donnelly at head@braywickcourtschool.org.uk or by leaving a message on 0845 459 0113. You're receiving this because you subscribed via our website or have registered an interest in Braywick Court School. © 2013 Bellevue Place Education Trust is a company limited by guarantee registered in England No 07956784.